Summer might be coming to an end but that doesn’t mean the fun is. There’s still plenty of time to enjoy the season with friends and family. And with Labor Day, the last long weekend of summer fast approaching now is the time to plan your own private casino party like no other. At Casino Party Experts, we can help you plan a long weekend party that has style and flair with a casino party. Casinos are always popular and easily draw crowds. Whether you’re visiting a real casino, playing online or attending a private party, the games, the sounds, the stakes and the dream of winning big is a seductive lure that people can’t resist. So this Labor Day, turn your long weekend into an exciting Casino Party celebration. At Casino Party Experts, we have authentic gaming tables for all of the most exciting and popular casino games. We have the cards, chips, and other accessories and can provide professional dealers for each table. Our dealers are highly trained and will run a sophisticated gaming table for your party. Add special lighting to your place and decorations for a real casino look. When your guests arrive, they will be swept away by the excitement of the atmosphere. To get an estimate for your casino party rentals, call us at (317) 857-0168. 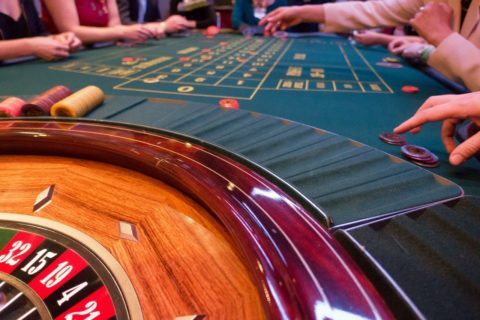 At Casino Party Experts, we have all of your favorite gaming tables to choose from including Blackjack, Baccarat, Pai Gow, Crap, Roulette and several different types of poker and card tables. Our poker table options include Texas Hold’Em, Let It Ride, 3 Card Poker, Caribbean Stud, Quick Seven and our standard poker table. Our professional poker dealers will organize the game and help players learn the rules of the game. With Casino Party Experts, you can host a general casino party with a variety of popular gaming tables or hold a poker tournament with our poker options this long weekend. Your guests will feel like they are at their own private casino when you rent our equipment. Add our oxygen bar to your area along with a beverage bar and finger foods and your guests are guaranteed to have a spectacular long weekend. This Labor Day, host an exciting casino party. With Casino Party Experts, we can help bring the excitement to your own home with our professional gaming tables and accessories. Enjoy your long weekend with friends and family with your own private casino event. Give us a call at (317) 857-0168 for an estimate for your casino party rentals. Why Rent An Oxygen Bar For Your Next Party?